Practical workshops have been a part of Automechanika Frankfurt for many years. Now, on the occasion of the event’s 25 year anniversary, the range of workshops on offer is being expanded yet again with new offerings that include bodywork repair and paintwork, augmented reality, truck competence, diagnostic techniques and digital communication. Every day from September 11-15, trade visitors will have an opportunity to take part in a total of 15 workshops free of charge. Registration is now open online, and certificates of participation will be awarded. Digitization and technological developments are presenting automotive workshops with new challenges on a daily basis. In order to keep up, regular training is essential. Automechanika Frankfurt has the solution. In cooperation with prominent partners, a series of practical workshops have been organized to provide automotive and commercial vehicle professionals with the expertise they need. Participants will even be able to give it a try for themselves. The 15 workshops will be taking place on every day of the trade fair, and most of them will be held in both English and German. Today’s vehicles are no longer made solely from a single material. Instead, they are often assembled from a variety of components made of standard steel, high-tensile steel, carbon, magnesium and aluminium. In a series of three-hour workshops on accident repair, a roster of experienced trainers will be bridging the gap between theory and practice in eleven different disciplines, including the latest developments in damage assessment, damage cost calculation and combined joining techniques (bonding, riveting, welding), as well as bodywork, paintwork and the final finish. Furthermore, the Robert Bosch GmbH training workshop (light calibration, ADAS (Advanced Driver Assistance Systems) calibration, electronic fault diagnosis, pass-thru) will provide a detailed overview of the importance of all the ways in which repair damage impacts connected cars. 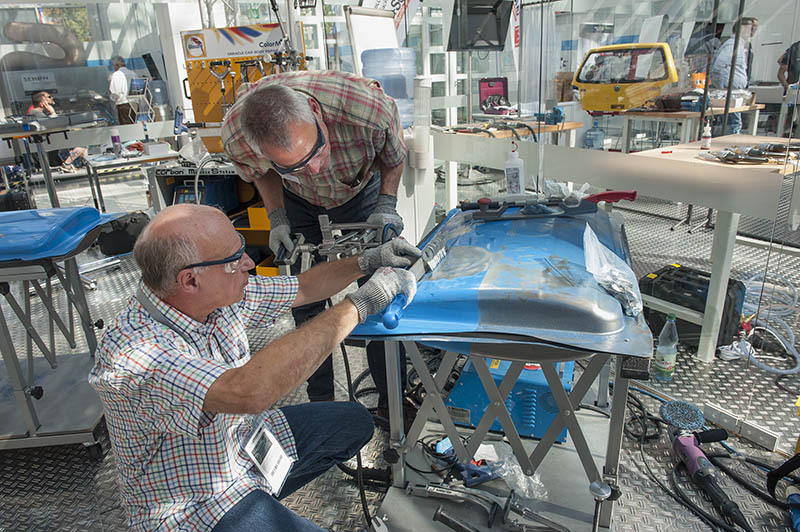 Among the companies and organizations supporting Messe Frankfurt in organizing the bodywork and paintwork workshops are BASF Coatings GmbH / Glasurit, BMW, Carbon, Car-o-Liner, Carsystem – Vosschemie GmbH, DAT, DEKRA, Mirka, Opel Automobile GmbH, Robert Bosch GmbH, Toyota, Wieländer+Schill and the Akademie des Deutschen Kraftfahrzeuggewerbes (TAK). On September 13 in the Portalhaus, ‘Schadentalk’ (collision talk) will host a discussion of the topics that are currently gripping the market for repairs. This concise format takes themes that are critical to the automotive industry and gets straight to the point, confronting leading industry decision-makers with the everyday challenges faced by workshops. The treatment of this field is complemented by ‘Schadenstrasse’ (Collision Repair Street), which showcases innovative concepts for efficient vehicle repairs offered by workshop equipment providers and damage repair specialists. Modern trucks and buses boast a wealth of electronic systems that ensure they are not only economical and environmentally friendly, but also safe. Various electronic assistants are already mandated by law, while others have been available as optional extras for quite some time now. The new workshops ‘Radar- and camera-based driver assistance systems in workshop practice’ addresses this situation with a sound overview of individual components. The training includes a manufacturer-independent introduction to the functions of camera- and radar-based driver assistance systems, disruption detection in sensor systems, and finally the independent calibration of driver assistance systems. 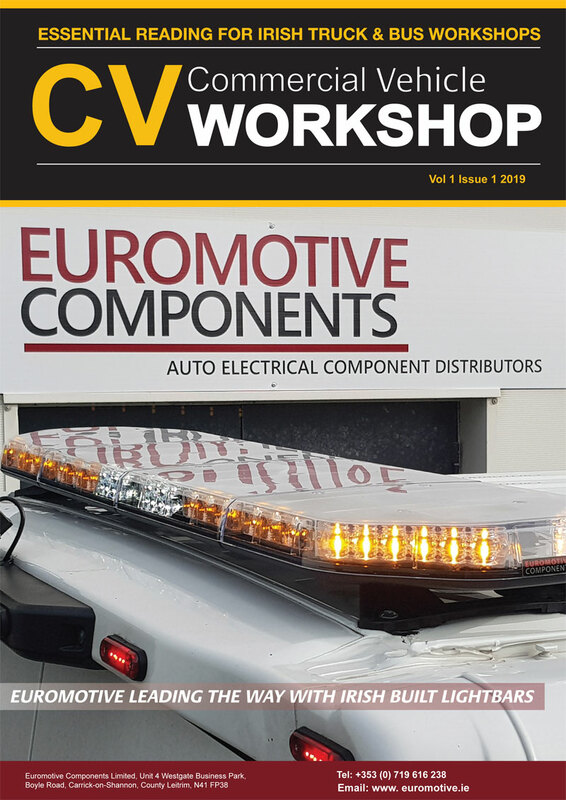 The workshop is being organised in collaboration with the Krafthand publishing house, the FAS Vehicle Training Centre Schweinfurt and the Vehicular Department of the Chamber of Trades Training Centre in Münster (HBZ). The workshop takes place daily from 10:00 a.m. until noon in the outdoor exhibition area F 1 and is conducted in German. Many classic and collectible cars do not have on-board diagnostic systems. What is the best approach to repairing these vehicles? This is but one of the many questions that will be answered in the certified workshop entitled ‘Professional diagnostics for vehicles without OBD systems’. The Akademie des Deutschen Kraftfahrzeuggewerbes (TAK) is offering an introductory seminar for training to become a ‘Service Specialist for Classic and Collectible Cars’. The goal of this seminar is to use practical depictions of technical interrelationships to provide participants with detailed knowledge of the systems involved and of the appropriate diagnostic strategies. In addition, the troubleshooting process will be demonstrated for components such as ignition coils, Hall effect sensors and variable reluctance sensors using conventional workshop testing equipment. The workshop takes place daily from September 11-14 from 10:00 a.m. until noon in Hall 12.1 and is conducted in German. In the Frankfurt Festhalle, Robert Bosch GmbH will be demonstrating how augmented reality can be used in the workshop. In the training course entitled ‘Explaining high-voltage motors using augmented reality’, experts show the ways in which digital technology is changing the entire diagnostic and repair process. With augmented reality, it is possible to depict the individual components of both separate and integrated motor generators (SMG/IMG) in a manner that affords detailed insight into their structure and function. Here, individual components are simulated such that they appear transparent, making it possible to view them from the inside out. The goal of this course is to demonstrate how to troubleshoot a defective component. The workshop takes place daily from 10:00 a.m. until 12:30 p.m. in the Festhalle and is conducted in German. When it comes to social media, for many people the first thing that comes to mind is private use of Facebook and other such services. Yet these social networks are increasingly impacting the working world as well. Kaufhold publishing house will be showing how workshops can make effective use of such networks for its business. Course participants will not only be given fundamental information on the modularity of social channels, but will also learn how to properly present their own company and communicate successfully in the digital world. The workshops will also touch on other online topics. The workshop takes place daily from 10:00 a.m. until 12:30 p.m. in the ‘Aspekt’ room in Hall 3.C and is conducted in German. Is there a Leading Light in your community?